ffmyheels: Visit to Halifax. Riding the Harbour Hopper! On Wednesday, Grammie took the day off and we went to Halifax for the day. 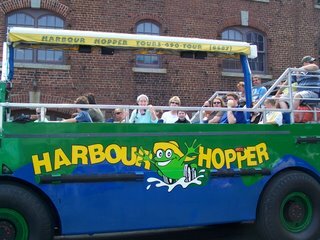 The highlight of the day was our 50 minute tour on the Harbour Hopper. We had a 25 minute tour of land-The Public Gardens, The Citadel, Spring Garden Road, the Garrison Grounds, etc. 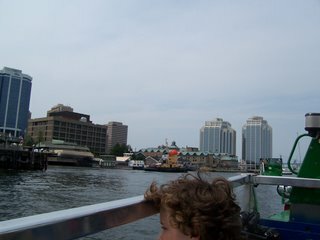 Then we went into the water for a 25 minute tour of Halifax Harbour. Halifax Harbour is the 2nd largest ice free deep water port in the world, only after Sydney, Australia. The kids were so excited (but I think Grammie was scared.) We loved it! The Harbour Hopper is an "AMPHIBIAN VEHICLE". This means it is both a land and sea vehicle. The Harbour Hopper is a refitted Lark V purchased from the U.S. Military. The Lark V was originally a military vehicle built for the U.S. during the Vietnam War era (1963-1970). They were used to transport cargo and soldiers from supply ships onto the beaches and jungles of Vietnam, a distance of up to 1.5 miles from ship to shore. In total the U.S government spent about $900 million dollars to produce approximately 900 vehicles. Of the 900 created 500 have been destroyed, 200 are being refurbished by the U.S government for future use, about 100 have been dismantled, and about 100 are privately owned worldwide. The Lark V was designed as a boat capable of being driven on land, and is currently the most stable amphibious vehicle ever built. When these vehicles arrived in Halifax, they were still wearing their Vietnam era camouflage with sharks faces painted on the front. There are other amphibious vehicles giving tours in Ottawa, Quebec City, Toronto and Kingston, Ontario, but those vehicles are stripped school buses that have been refitted for water. 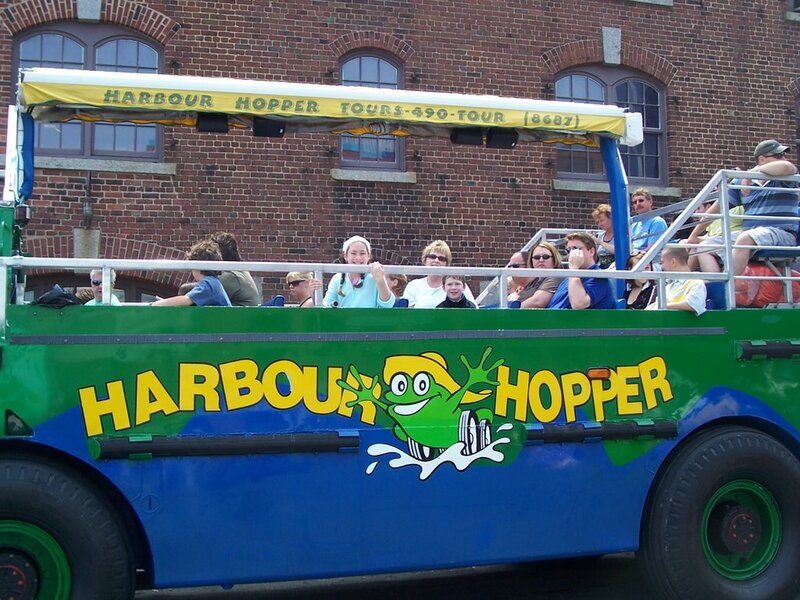 The Harbour Hoppers in Halifax are the only vehicles of it's kind in Eastern Canada. They are the same as the vechicles used in Boston for the famous "Duck Tours". I am not sure about Western Canada and where you would find these Vietnam vehicles.